Well I found this in the back of my guest bedroom closet and remembered starting it. 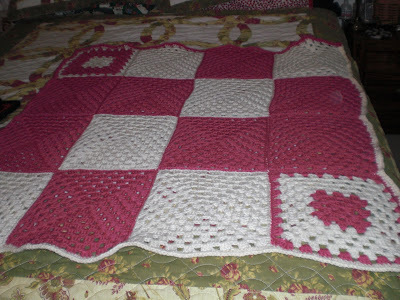 So I sewed it together and made the afghan that will go to my new group CFAC. I will also be working on some stuffed animals that will be for the CAL over there for the month of April. Well there I sat yesterday afternoon looking at the purse handles that I have and my mind started working again and here is my latest creation. 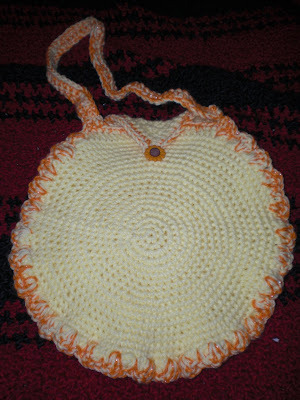 Same yarn as last purse but different colors and I used a "L" Hook. *hugs* and I hope you have a great day tomorrow. So I have all these purse handles laying around so last night I decided to make use of a set. I sat down and went through my pattern books and found nothing that I liked so I put on my creative thinking cap and came up with this while watching American Idol, (I love Adam Lambert). 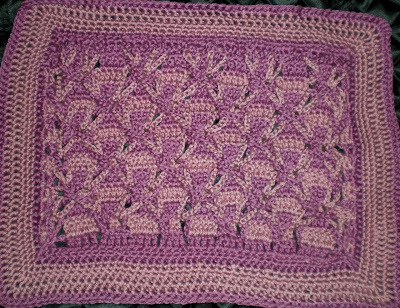 I used some fun fur that I had laying around and Peaches and Cream cotton in Northwoods. My hook size was a "J". 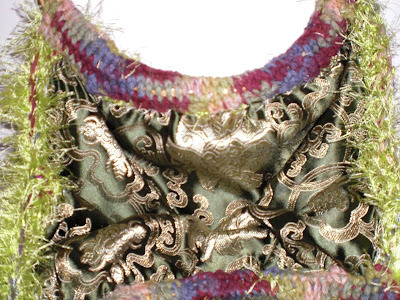 I lined the inside with a beautiful green paisley sorta silk fabric. I really like it and can't wait to use it. 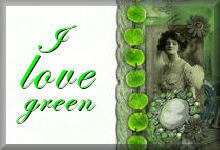 And you knew when you started reading this that of course it would be GREEN!!! Well folks I am getting down to the finish line finally. 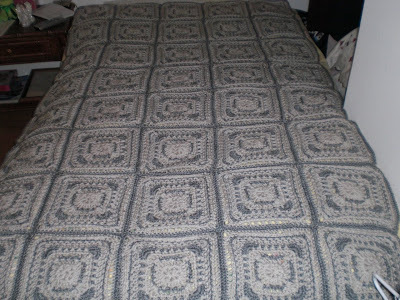 Here is a photo of the entire thing put together, all 40 squares. Now I have the 8 round border to go. I can see that light at the end of the tunnel, :)!! Hope everyone had a great Monday. Here are a few project that I finished this weekend. A short neck scarf, pattern in my head. I used a cable stitch that sis and I learned while she was here and went from that and this is the of my efforts. Next is a larger Amazing star square. I just love this pattern . I will be working on the from time to time and make a afghan out of them. 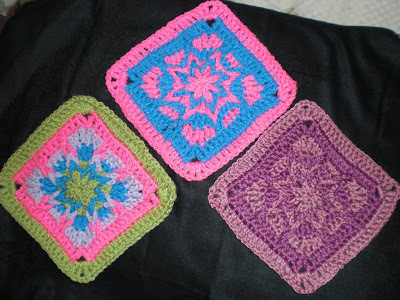 No picture update on the Mother-in-law afghan but I have 10 squares totally completed along with a single extra round of single crochet around it. 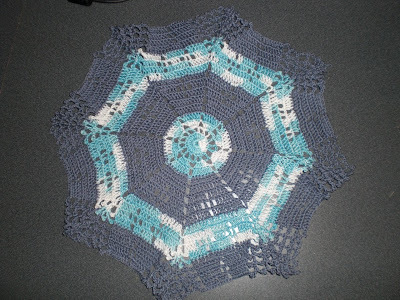 And last is a doily that I finished that sis and I started when she first got here. I am glad to have these things completed and out of the way. I am really going to try and see if I can get the mother-in-law finished this week. Hope you all have a blessed Monday. 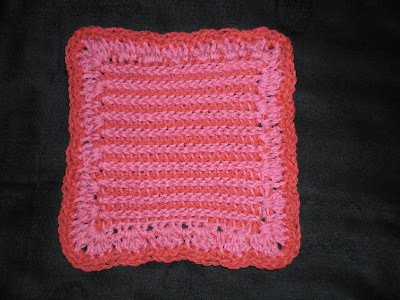 This is a new technique that sis and I learned together while she was here with the help of a tutorial that our friend Sandy has on her Crochet Cabana web site (see link at the side bar of this blog, yes I am lazy :). She gave wonderful instructions and I am hooked. I have decided to make a set of place mats that are reversible and I am using a variegated peaches and cream pound cone and miami ribbon yarn together. I am using a size G crochenit hook. 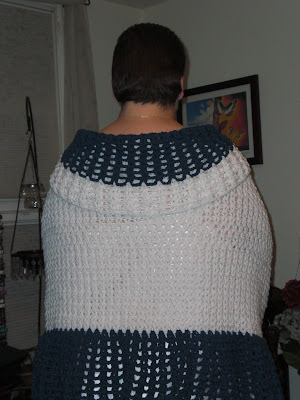 The ribbon yarn side when done looks like a waffle pattern and it is very cool. Not sure how they will wash up since I am using cotton and acrylic together but I love the effects that the two different yarns give it. Thank you Sandy for your wonderful Web Site and thanks to sis for sharing this learning experience with me. Here is the creation that came out of the face that the contest was based on. 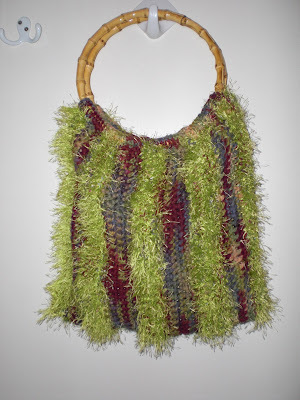 It is a purse for a little girl and a very special girl at that. That little girls name is Brooke, yes Wendy's very own Brooke. 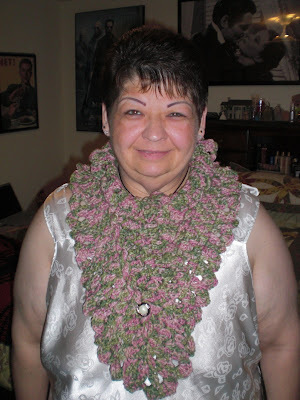 This is her prize for suggesting that I make a doll out of her. Thank you Brooke and I hope you enjoy your new purse and take care of her and maybe give it to your own little girl when you get older and have children. I will be sending out all the gift packages this week, so keep an eye out for them in the next week. I am sending them regular mail. Well everyone had such great ideas that I can not decide who has won. So I guess that means a prize for everyone!!! YAY! So everyone that posted an idea for the Doll face posting will get something in the mail from me within the next week or so. Diane and Donna who sent me an email privately due to trouble with blogger. BTW, I have two more doll faces that I will not be using. 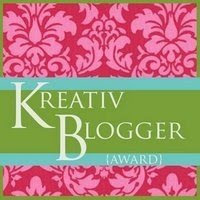 If anyone would like them, email me at scarlet@kfu.com and I will include them in your package. Thanks again and *HUGS* to all of you. 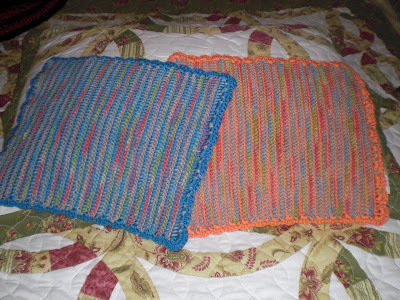 Below are two projects that I just completed. 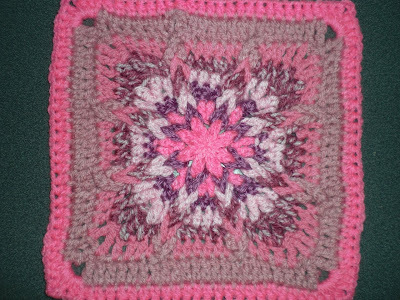 The polish star which is going to be a pillow eventually and the going home poncho in fall colors for myself. I used s 'G" hook on the polish star and simply soft yarn. 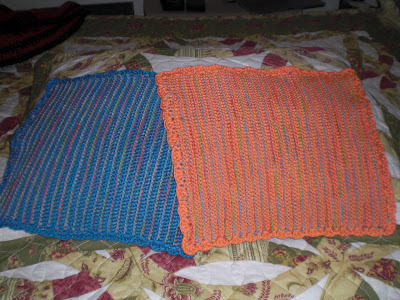 I used a "L" hook and Caron pounder in Nutmeg and Red Heart Symphony in Persimmon worked both strands together. I am pleased with the outcome of both projects. 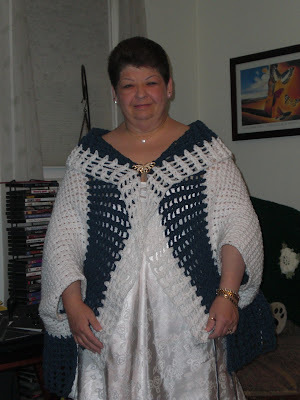 I started to poncho before sis came so I am glad to get that off my hook. Hope you all are having a wonderful week. I am off to visit your blogs and leave some comments. I am so far behind on that. 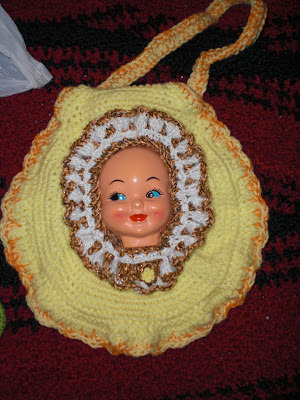 You have until midnight tomorrow 3/2/09 to get your ideas in for my doll head project and 'How you think I should finish it". 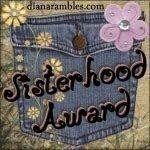 I will be selecting a winner as well as a runner up on Friday the 6th of March 2009. I will leave it at that. You might want to check out the original post to see that details.